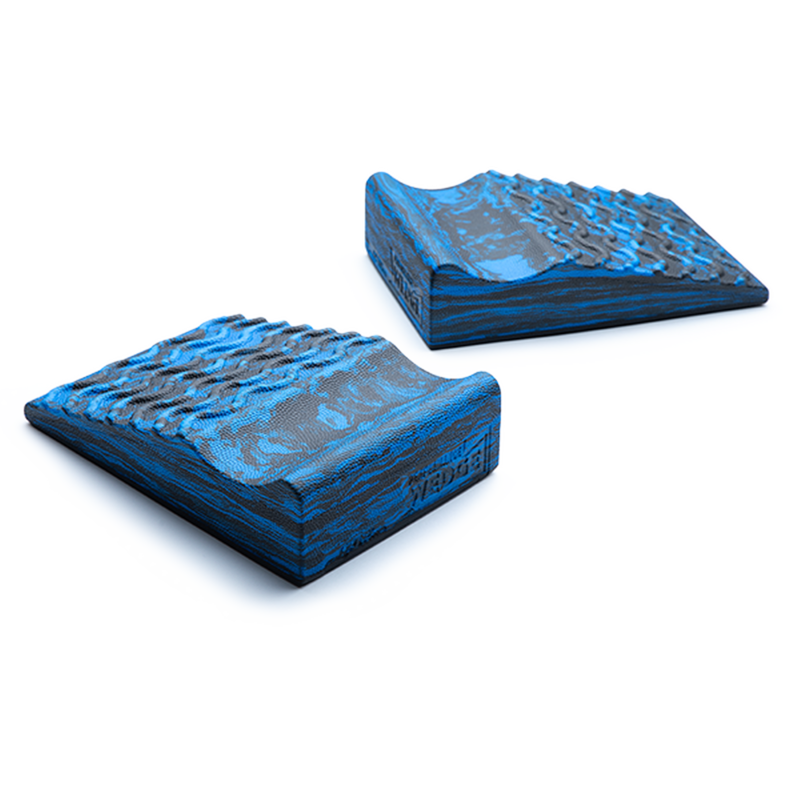 This pair of foam wedges is designed to give you alignment, posture, and joint support during a variety of movements and exercise routines. Invented by chiropractor Dr. Greg DeNunzio and personal trainer Luis Leonardo. You need the Performance Wedge for push-ups, planks, squats, mountain climbers and the list is endless. While providing security and support, the PW can actually increase the challenge of your exercise by just a slight incline or decline, depending on the direction you turn them. I have experimented with the direction to see what works best for me. Be creative and you&apos;ll find many ways in which to use them. Never another push-up without the wedge. Pack them and take them with you. I travel a great deal for my living. The Performance Wedge allows me to perform a wide range of exercises in my hotel room while I listen to the news. The Performance Wedge takes up virtually no space in my luggage! What is important is that exercise must be convenient and simple, or most people will quit. Another thing is that most (especially beginners) need structure so they easily know what to do. The Performance Wedge can help you form a habit of exercise which can help us continue improving our strength and health. While I’m sure the Performance Wedge is useful for all levels of ability, it is especially helpful for those who do often don’t know where to begin! The included instructions can get you started on your program very easily to strengthen your entire body. These wedges are great for planks if you want to skip using gloves, or for side planks which are easy on the arms. I mainly use them for stretching my calves. I&apos;ve recently discovered an Achilles weakness and also use these under my feet to get down into a perfect squat. Super compact and fit in your gym bag for strength day at the gym. The Performance Wedges have DEFINITELY helped me with my flexibility and mobility! Using them to go deeper in squats and calf stretches has been amazing!!! Do you want a secret.....try some whiskey shots or push ups with them....you won’t be disappointed!! So small and compact..they go everywhere I do!! This product is very versatile. It can be used for hands and feet with multiple movements. I use it mostly for helping with squat mobility and depth. It elevates the heel and allows clients to do air squats with ease. I also enjoy the size of these wedges compared to others that I have used and seen. Very portable and great foam texture. Thanks OPTP!